1. Flower and cross tattoo – A lovely cross is artistically placed in this colorful tattoo amid the swirl of purple and yellow flowers. 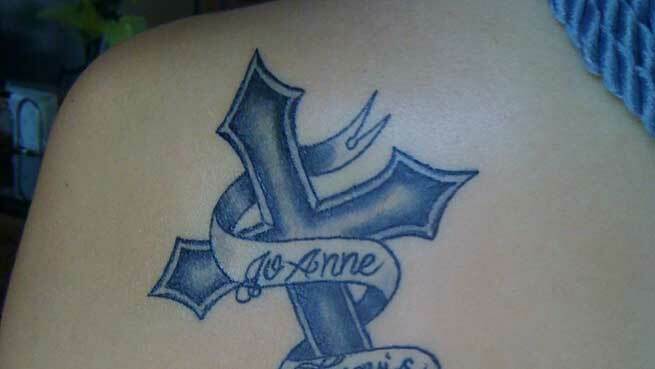 Despite of Cross having the masculine image, this tattoo is completely feminine. 4. 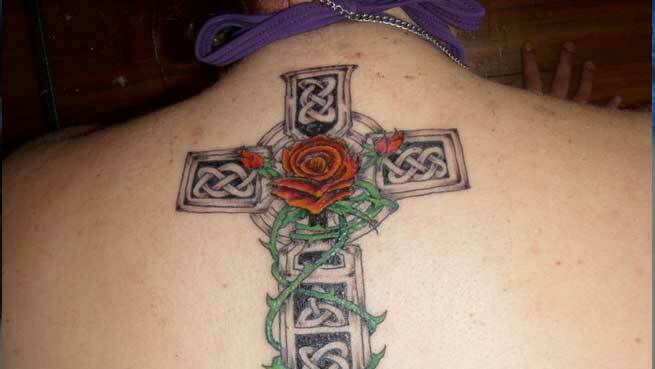 Rose, heart and cross – Pour all your emotions out in a striking cross tattoo. This tattoo has every feminine feature, ranging from roses to hearts… This is a sure attraction for tattoo lovers. 5. 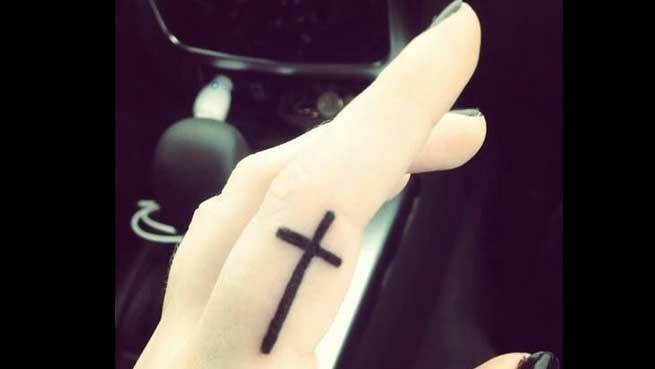 A cute cross on your Index – A smaller tattoo can look more attractive than those king size ink-marks. This simple tattoo carved on the index finger looks very attractive and girlish. 6. 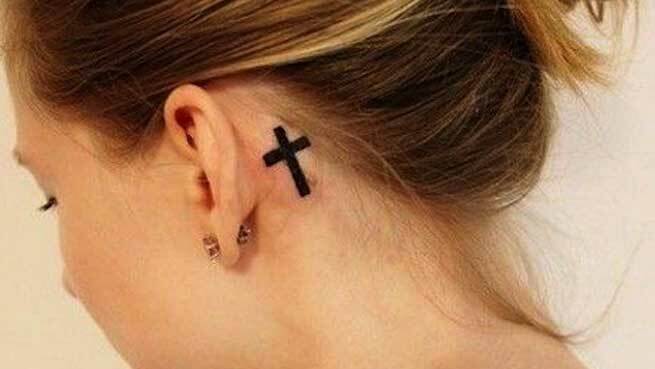 Classic cross on back – Go bare back with this classic cross tattoo. It is traditional and at the same time stylish too. 7. Flower, kingfisher bird and cross – Your mother is another face of god for your, her affection is the most attractive thing of the planet and her touch is gentler than a flower. 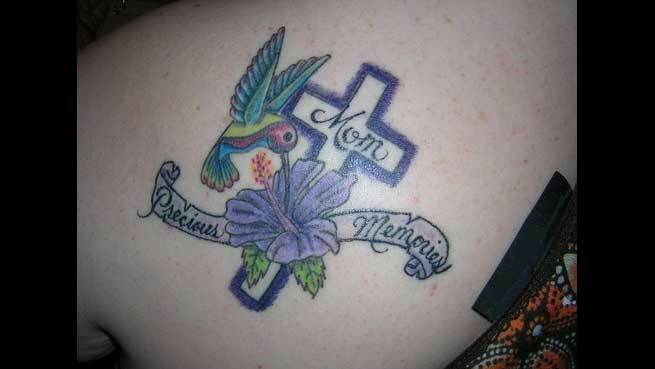 With quote of ‘mom precious memories’ this tattoo is possibly trying to convey this message. 8. 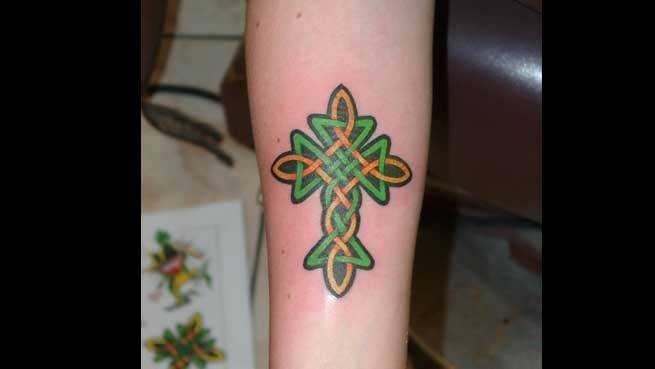 Green and orange cross – This pretty colored tattoo is just a piece of art but it is worth mentioning due to its charm. You can get this attractive tattoo carved at your wrist, forearm or back. It’ll look beautiful at every place. 9. 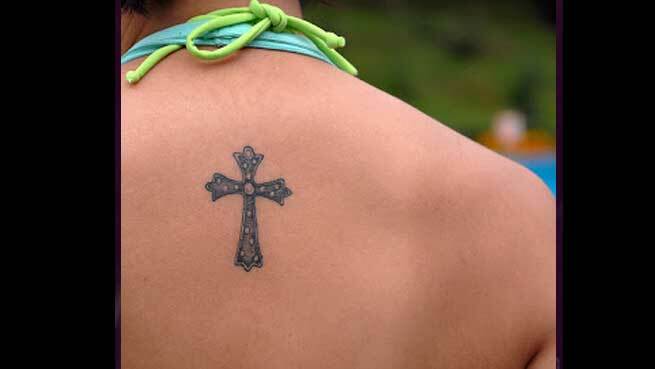 Cross tattoo with style – A stylish cross tattoo just above your bosom! 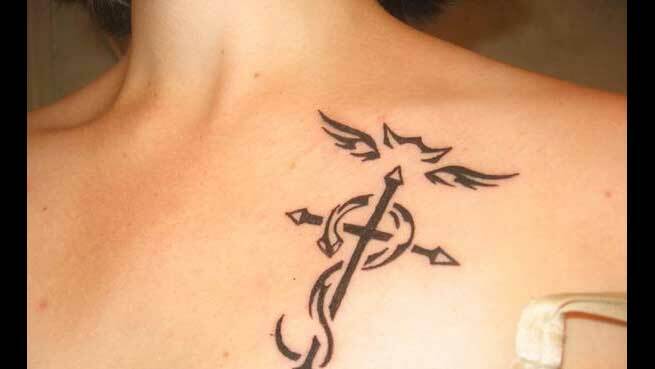 Full of metallic alchemist, this tattoo will make you look sultrier in an elegant avatar. 10. 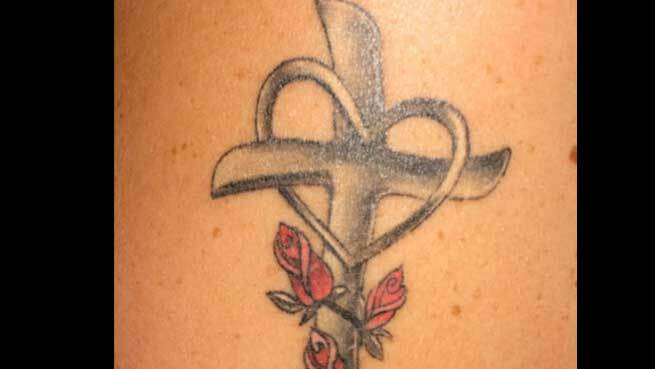 Blue Cross – Go out of the box with a blue cross tattoo with open ends. This tattoo is simple yet elegant. And, its blue color is adding womanly charm into it.